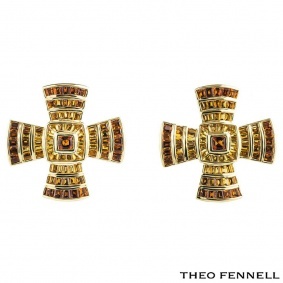 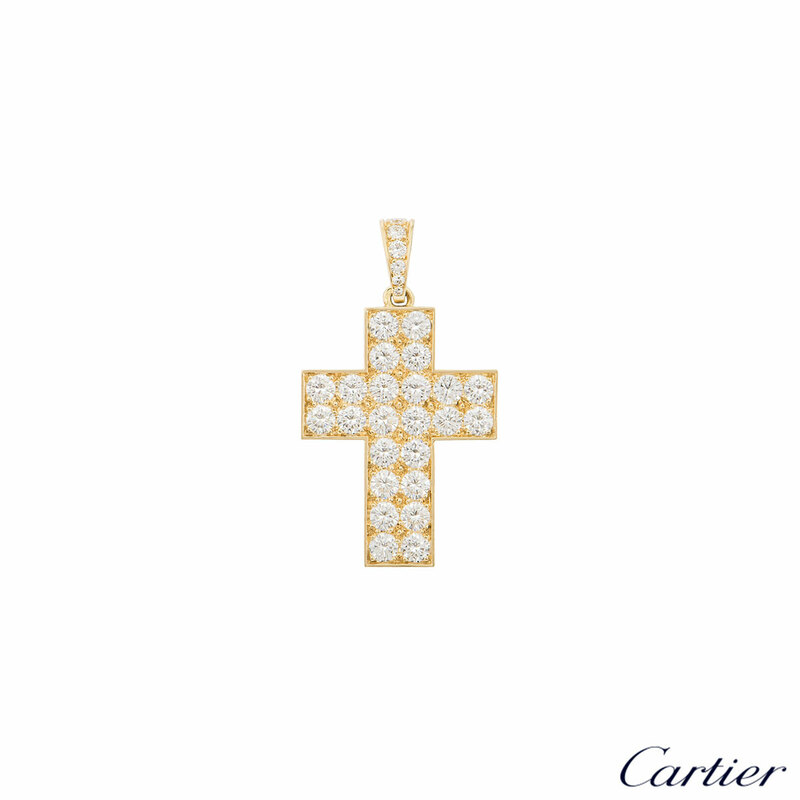 A Cartier diamond cross pendant in 18k yellow gold. 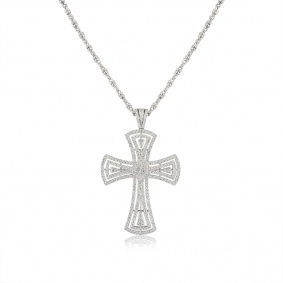 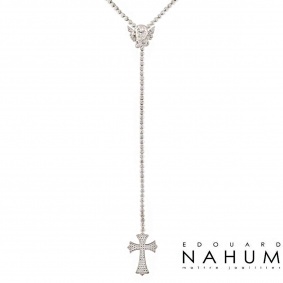 Designed as a Latin cross, the pendant is set with a total of 70 round brilliant cut diamonds totalling approximately 6.50ct, G+ colour and VS+ clarity. 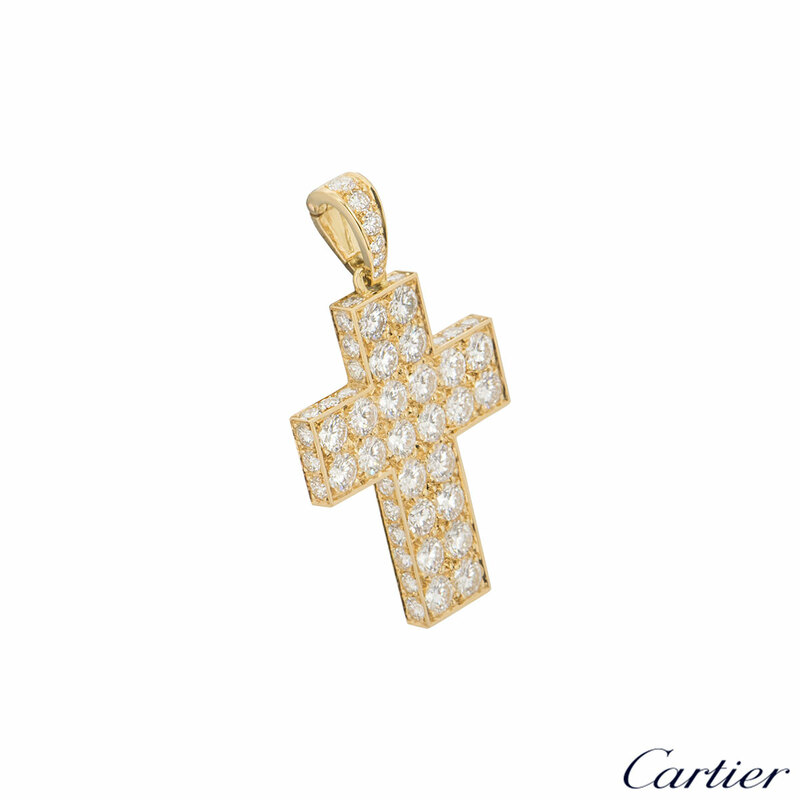 The pendant is pave set to the front and sides with a diamond set bail. 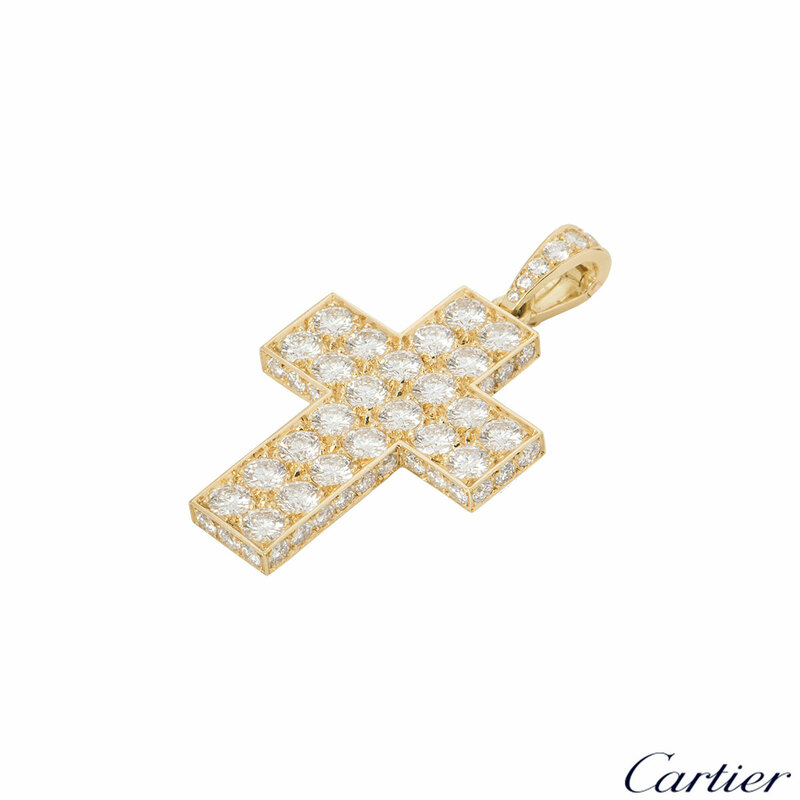 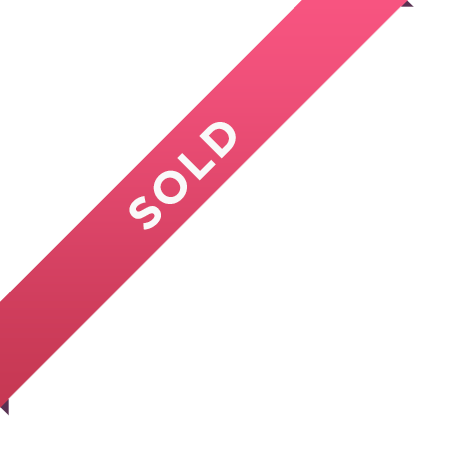 The pendant is signed Cartier with its individual serial number and measures 4.00cm in length and 2.5cm in width. 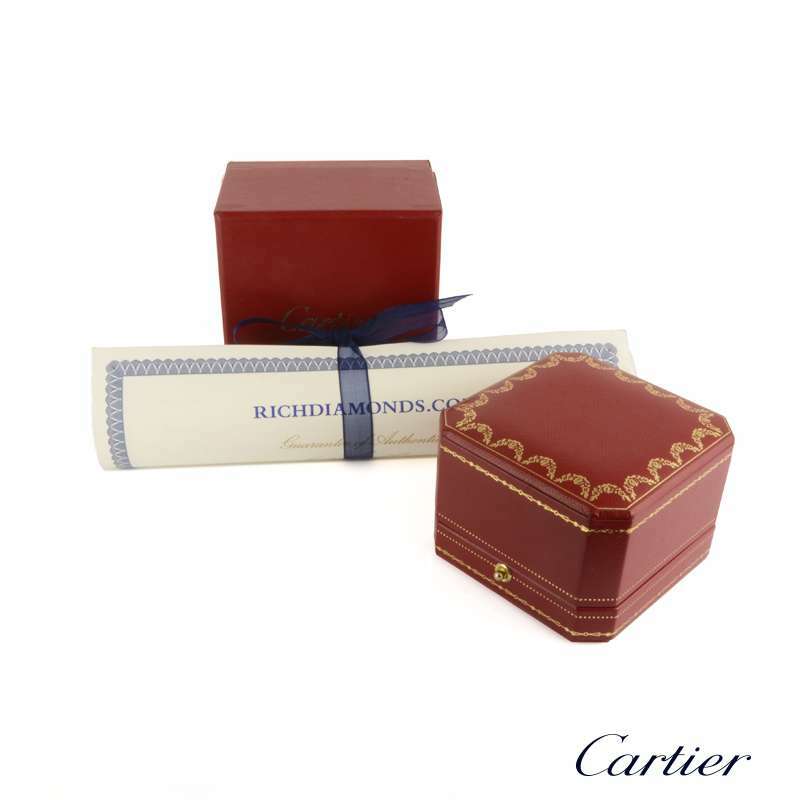 The pendant comes complete with an original Cartier box and our own certificate of authenticity.